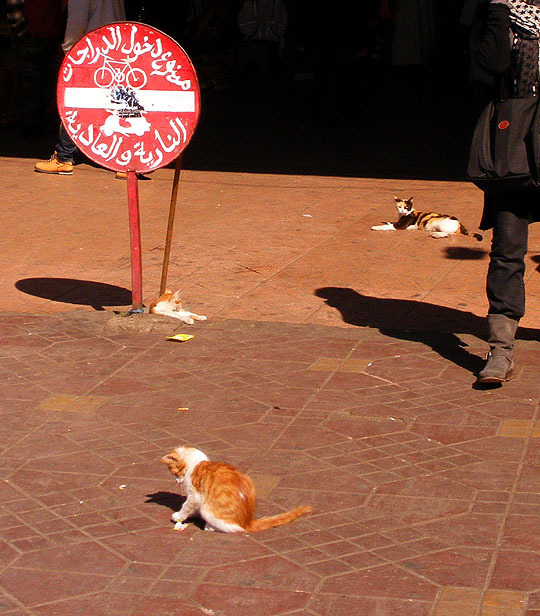 If there was one thing there were a lot of all over Morocco, it was cats. 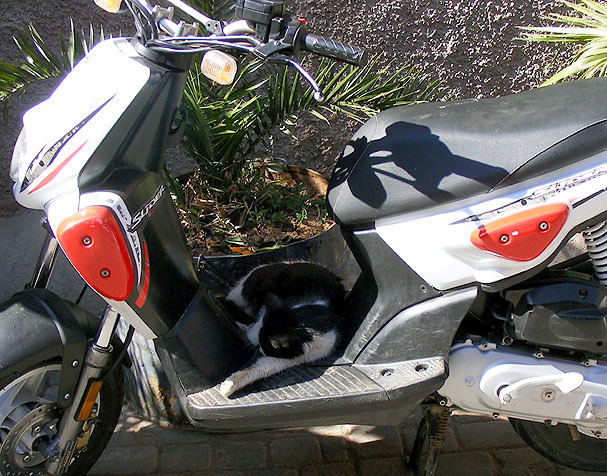 Cats under cars, cats on roofs, cats riding bikes - well almost. 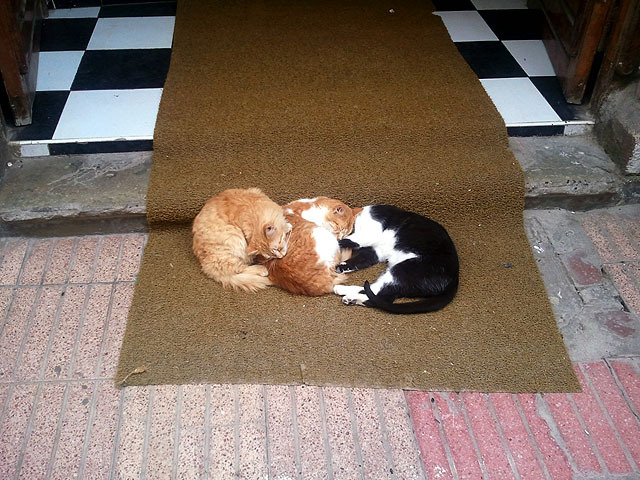 It was refreshing to see how nice the Moroccans were to the cats as well. You'd see a guy walking down the street with a bag of fish, cat hot on his tail and he would stop, take out a fish and toss it to the cat. How nice and giving everyone was to them made you feel good about what otherwise could have been a cat overpopulation problem. 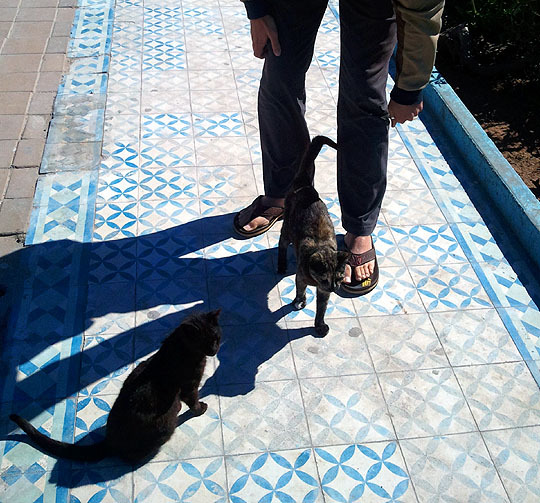 With the amount of time we spent in Morocco, we became friends with many of the cats. We knew where to always find certain cats and what type of day was best to pet them. 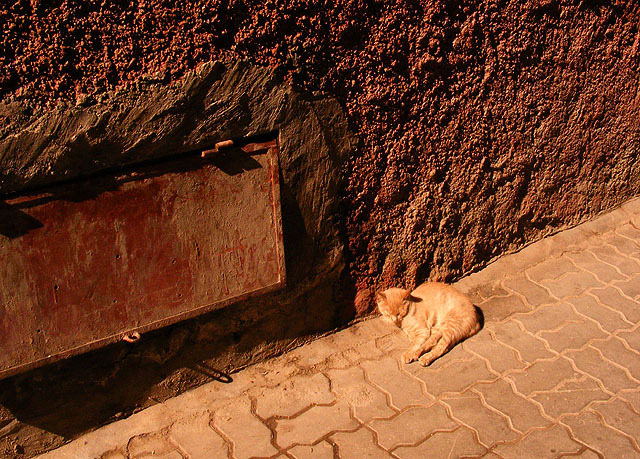 Morocco's a cat's world and they're just letting us live in it. 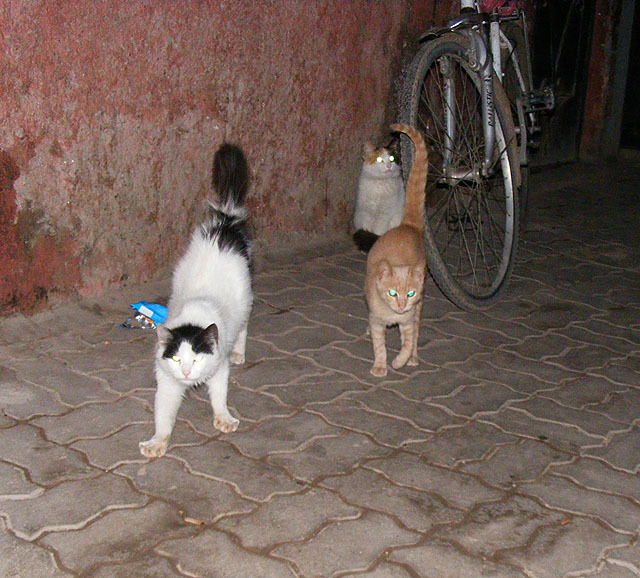 Of course we took many photos of the lovely Moroccan cats, so without further adieu, Cats of Morocco. 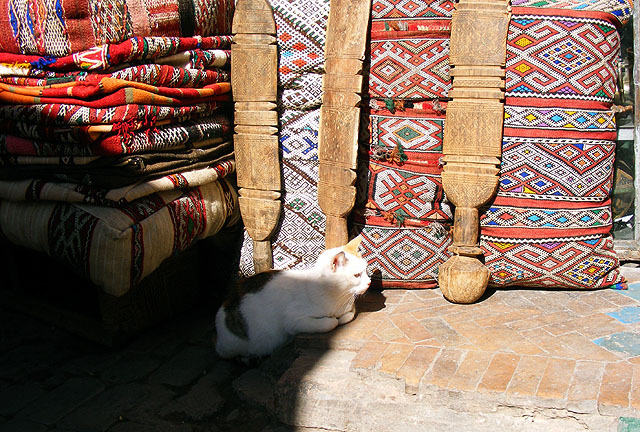 In Marrakesh, this cat helps out with selling rugs. A herd of hungry cats approaches us as we come home with a pizza. Is it his bike, or is he just guarding it? A kitten playing under the watchful gaze of momma cat. 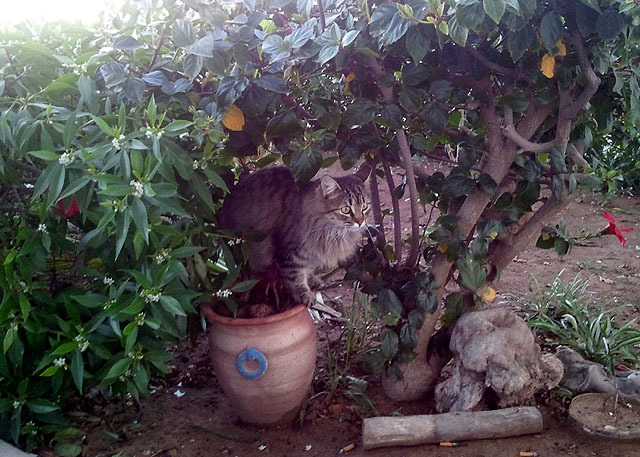 One of the regulars just outside our Marrakesh hotel. He let us pet him sometimes. Sometimes not. 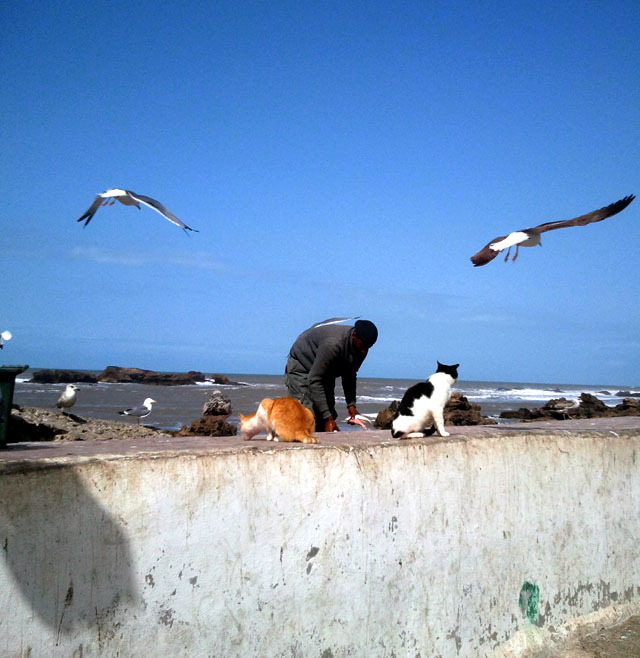 A fisherman feeding his spare parts to cats and seagulls at the Essaouira port. 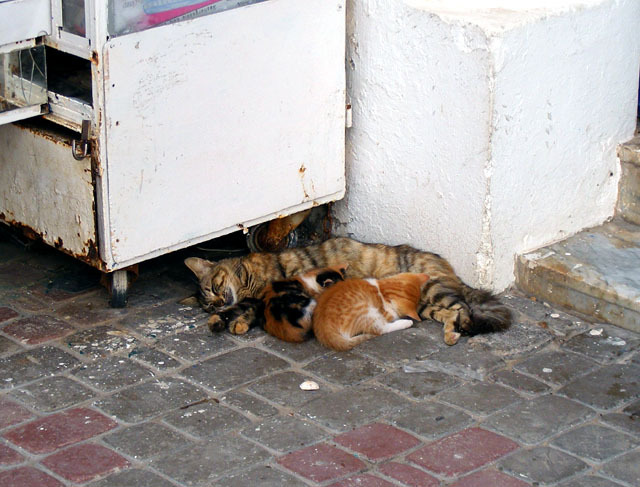 Spring was on us in Essaouira with lots of kittens in tow. He thought he was hiding. 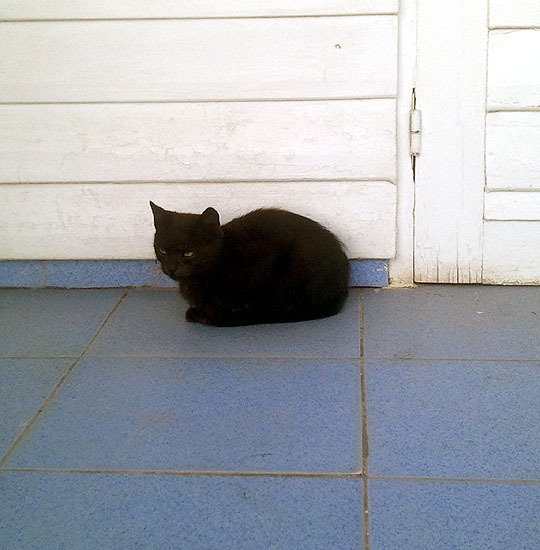 A kitten who wanted nothing to do with us. 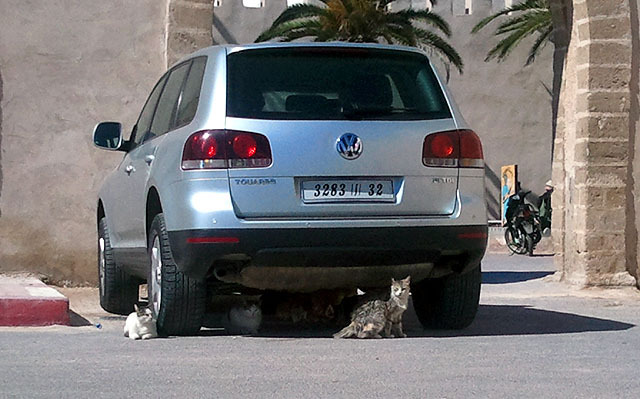 A favorite spot for cats to congregate was under cars. Some cats just couldn't get enough pets. 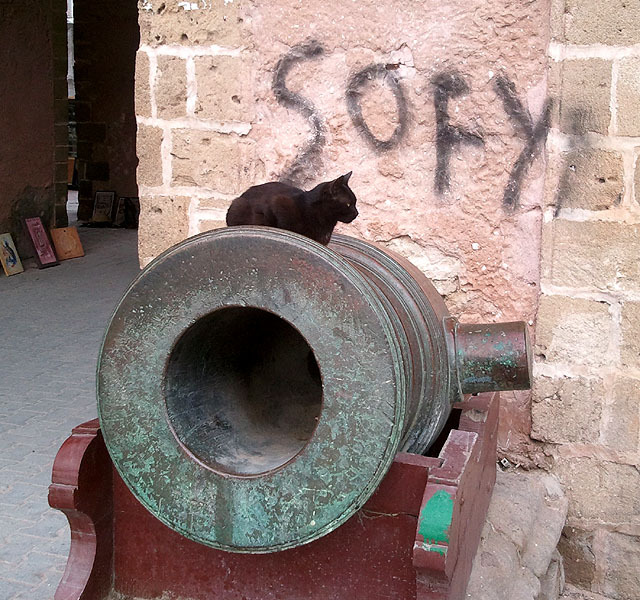 This is Sofy and that is her cannon. Everyday these three cats could be found in this exact position. Maggie making a kitten's day. Those are some cool cats. . . although it would have been fun to see a few cats riding bikes. The one taking a nap on his bike was probably just waiting until you were gone to start it up.